Regional and Large banks have done well since the election. Of late they have lagged the broad market and find themselves testing what could be very important support levels. Below looks at regional bank ETF (KRE). KRE has experienced a rally that started in February of 2016. 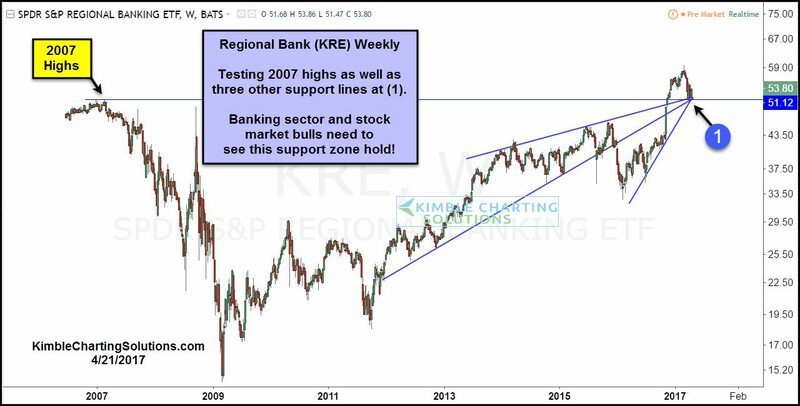 This rally picked up speed following the election last November, as KRE almost went vertical. The move up was strong enough to push KRE above 2007 highs, for a couple of months. Breaking above 2007 highs was bullish price action. Since hitting highs near the end of February this year, KRE has declined around 15%, following a bearish reversal pattern (bearish wick) the last week of the month. This decline now has KRE testing 2007 highs for the first time in history, as support at (1) above. 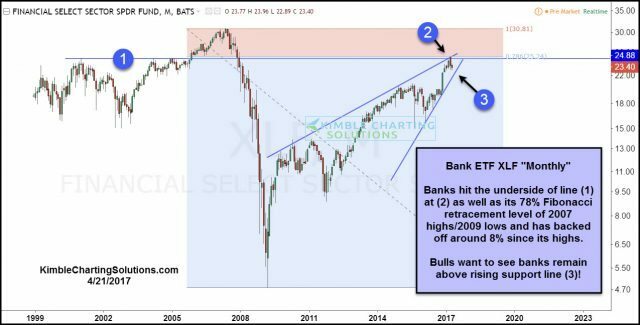 XLF hit resistance line (1) at the end of February at (2) and has backed off along with regional banks. 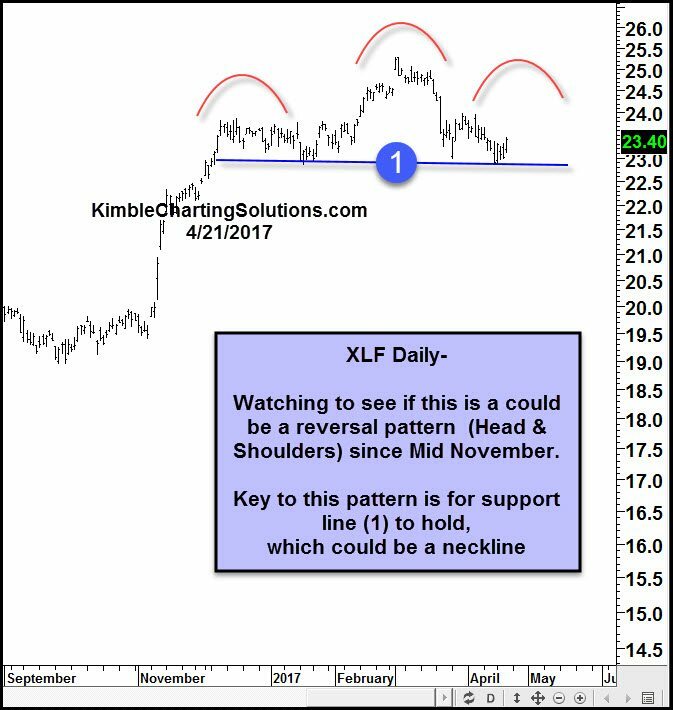 Below looks at XLF on a daily basis, which could be forming an important pattern of late. 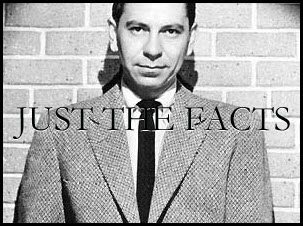 Joe Friday Just The Facts; With the weak seasonal time period just in front of us (Sell In May and Go Away), it is critical that regional banks (KRE) finds 2007 highs as support and that horizontal support in XLF above at (1) holds!